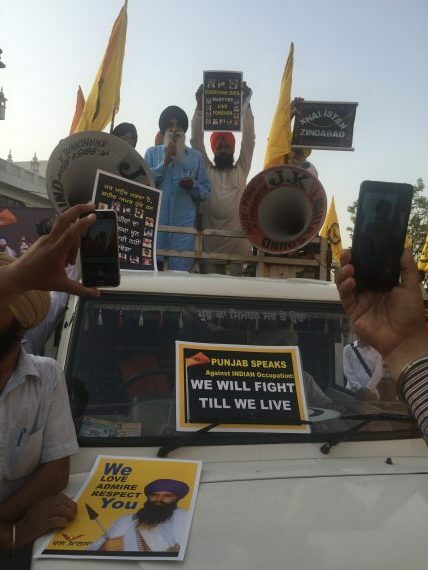 Amritsar: Pro-freedom Sikh group Dal Khalsa took out a Genocide Remembrance Parade on the streets of holy city displaying photographs of damaged Akal Takht Sahib and Sikh martyrs who died during the attack while fighting against the Indian army. 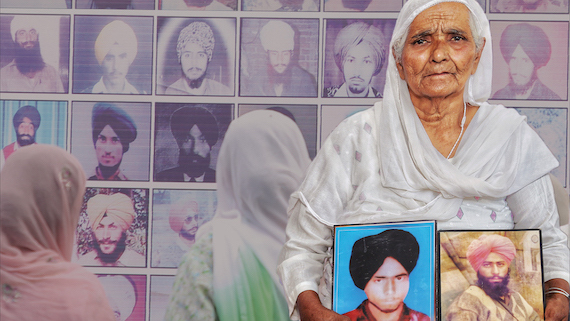 Carrying flags and placards on which it was depicted that wounds of the attack still simmer, pain is fresh and struggle continues, they marched raising slogans seeking Punjab’s independence from Indian yoke. Dal Khalsa march on 5 June in Amritsar. Excerpts from the speeches of Sant Jarnail Singh Bhindrawale along with inspiring songs were played on the DJ system to which youth responded with spirited sloganeering. 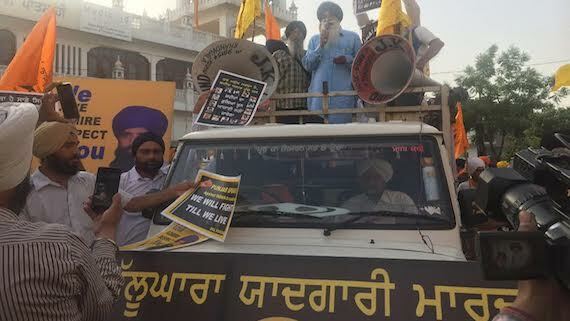 Reiterating their call for Amritsar Bandh on June 6 to protest against the Indian army’s assault on Darbar Sahib some 33 years ago, the Dal Khalsa calls upon the people of the city to feel the pain of the deadly attack and support the shutdown call. 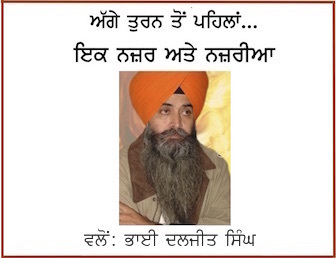 Addressing the spirited march party head H S Cheema said Sikh fighters under the leadership of Sant Bhindrawale stood up in 1984, courting martyrdom defending the sanctity of Golden Temple. Striking an emotional chord, he said thousands of innocent pilgrims, SGPC employees, political activists and volunteers were slaughtered by the Indian forces during the attack. Furthermore, appealing to the UN, the US, China and other world powers to put perpetrators (political as well as in uniform) who commanded the attack on trail for war crimes, he said many innocent pilgrims were shot and bombed after they were arrested and their hands tied. A view of the march lead by Dal Khalsa. He said “Indian state under Narendra Modi is transforming towards more centralisation and more Hinduization. That is the only transformational project that is taking place today. He alleged that promoting anarchy and violence in Punjab was the insurance policy of the ruling circles of India to keep the Punjab problem unresolved and keep the Indian people divided and diverted. While addressing the spirited protesters party spokesperson Kanwar Pal Singh said attack on Darbar Sahib complex was a defining event in Indian politics in the sense that it institutionalized anarchy and violence against the people as the preferred state policy and opened the path for such infamies. He said the repressive policies of the state are still in place. Punjab and Kashmir was, is and will be at the center of the solution of the problems of South Asia, he adds. Whenever there will be a war between India and Pakistan, besides any other place, both these places will be the bulls-eye of destruction. Asserting that the Self-determination is the right of every nationality, former head Satnam Singh claimed that the right to secede was recognized by the Geneva Convention. Many countries have attained independence through plebiscite. It is not unconstitutional. Head of the Sikh Youth of Punjab Paramjit Singh said Sant Bhindrawale, Bhai Amrik Singh, Gen Subheg Singh were real ‘faqar-e-quam”.